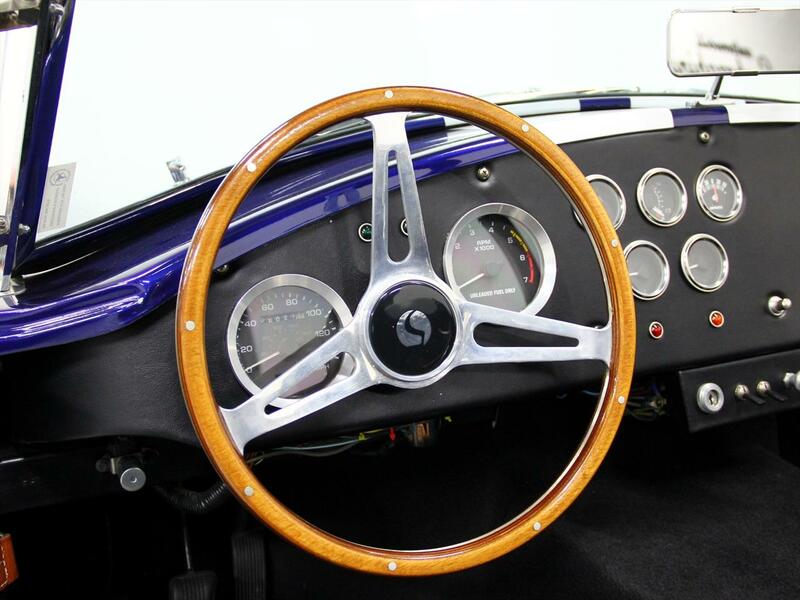 SOLD THANK YOU, S.L. 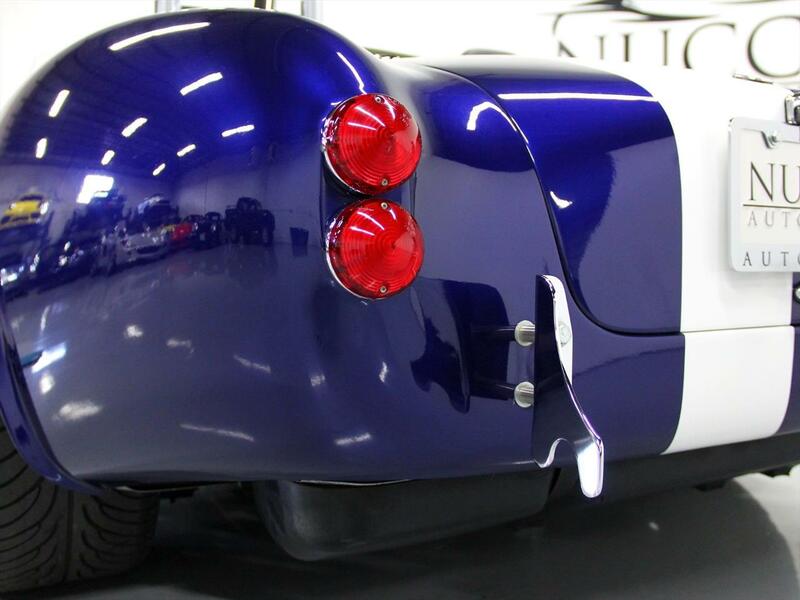 - FRANCE! 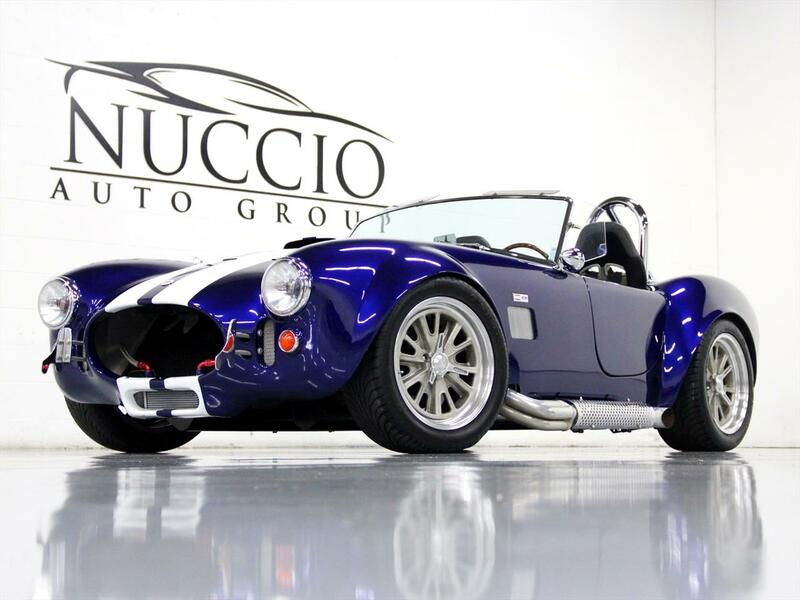 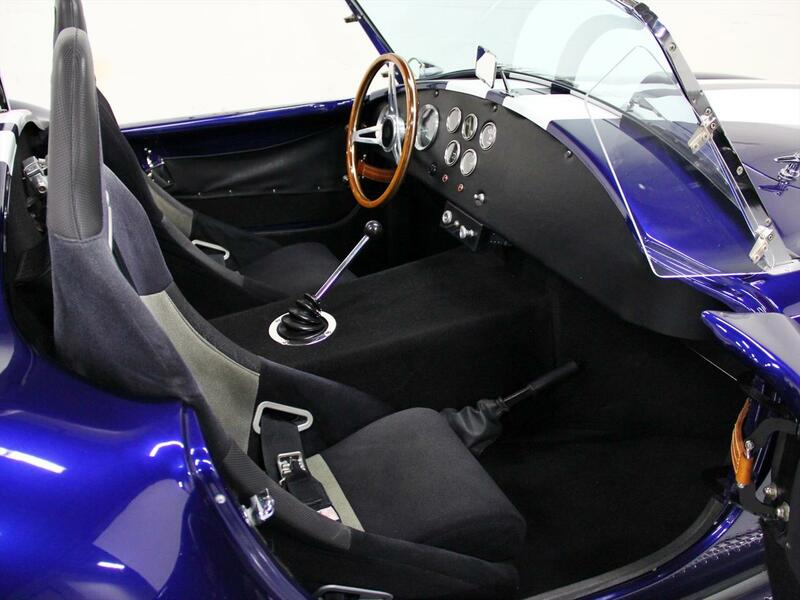 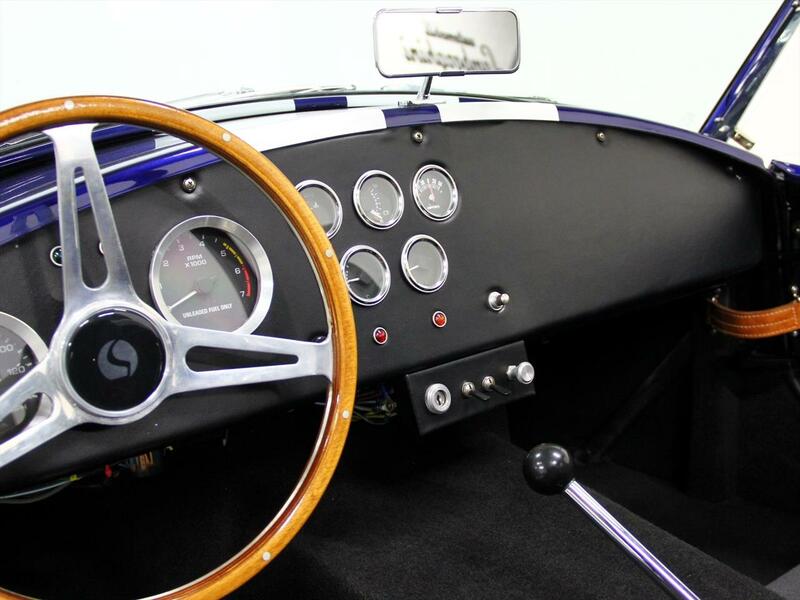 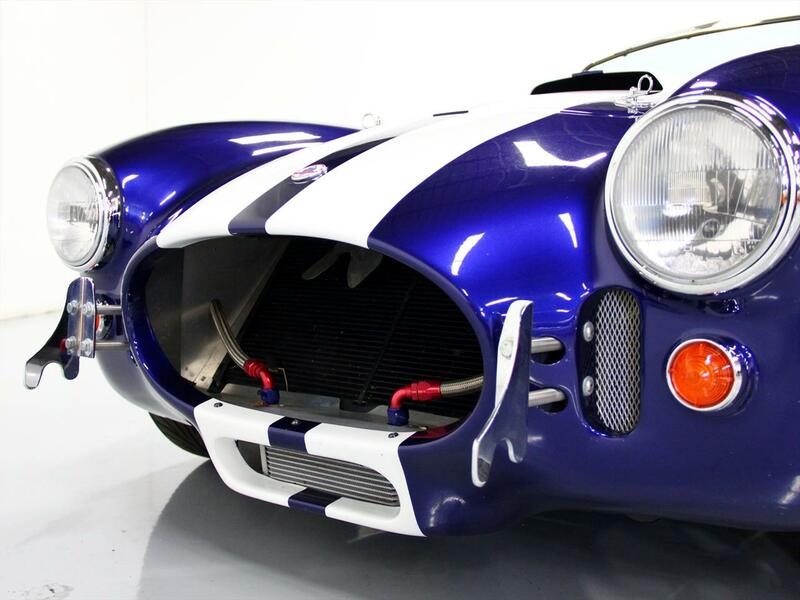 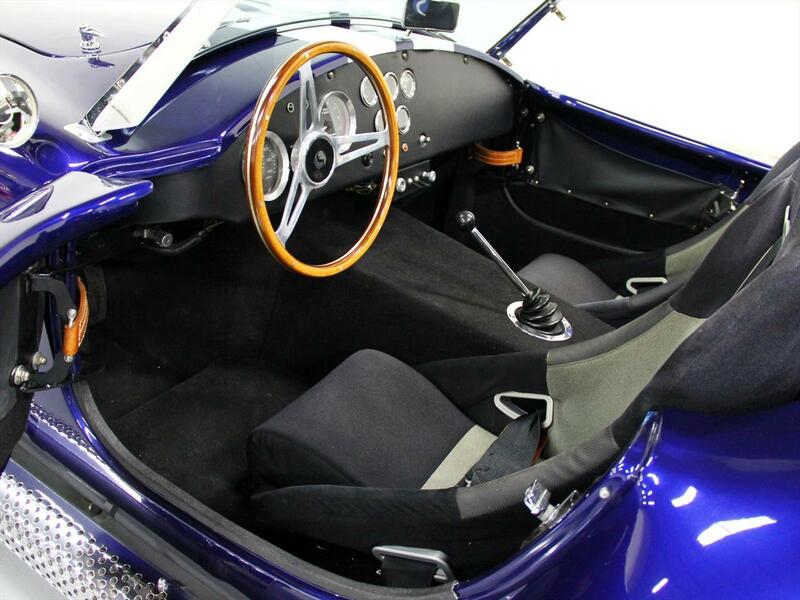 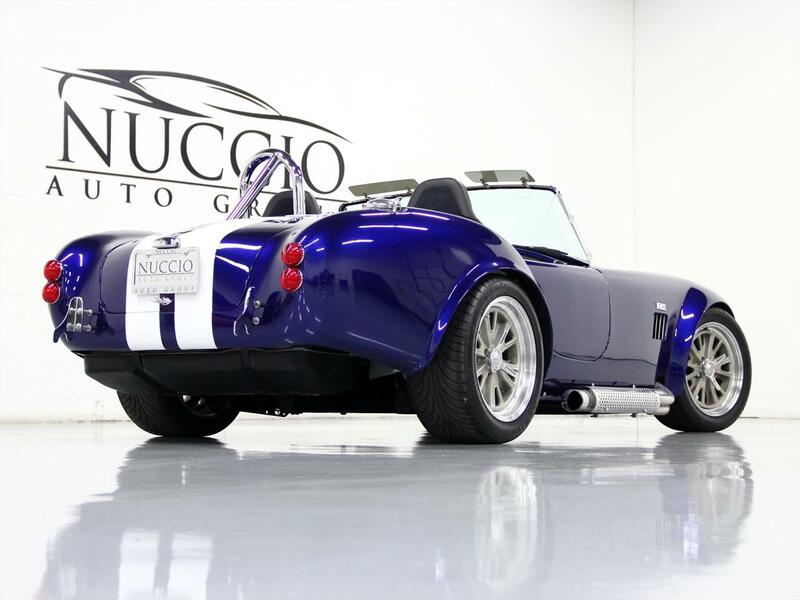 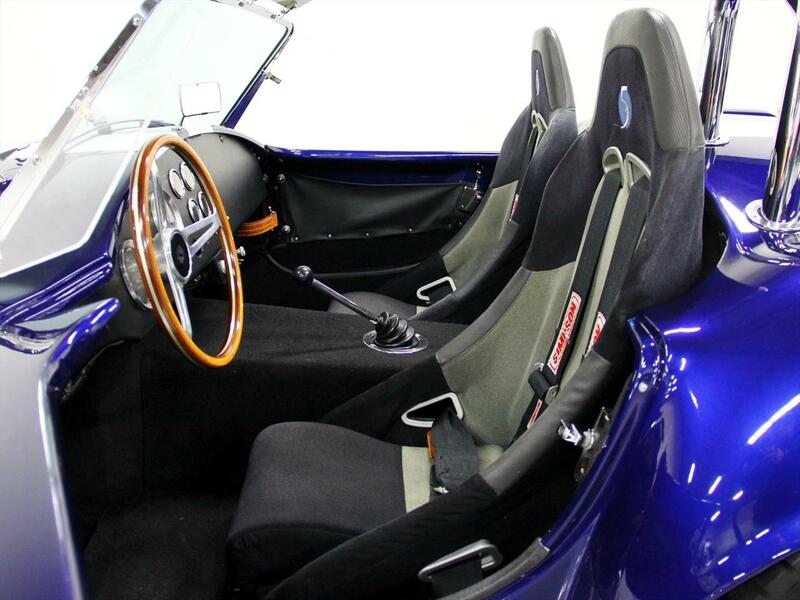 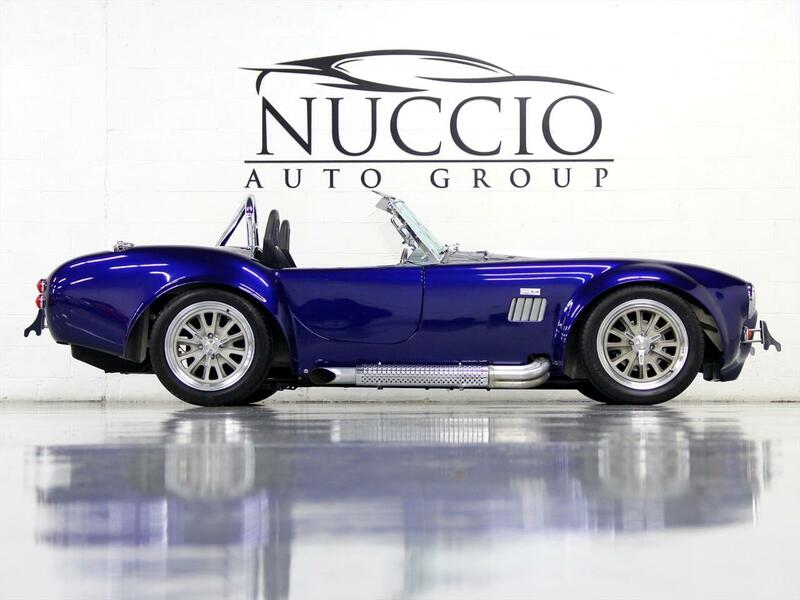 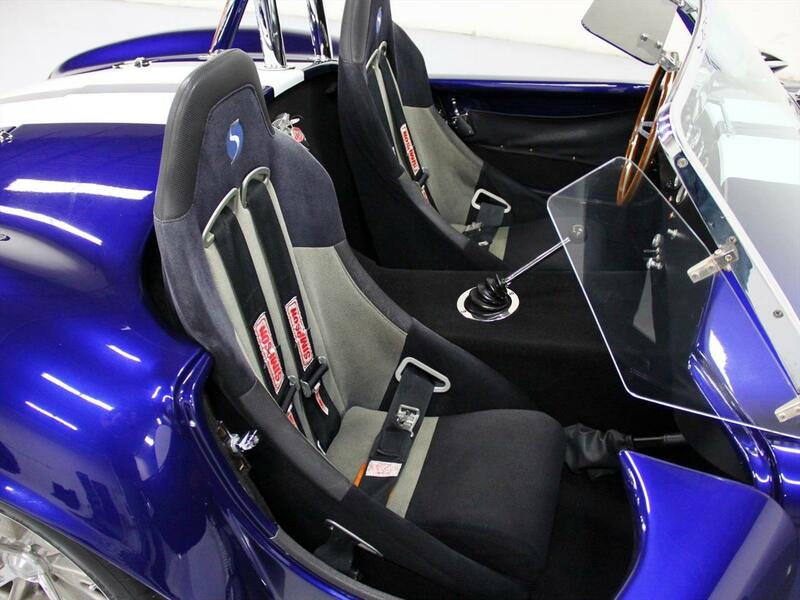 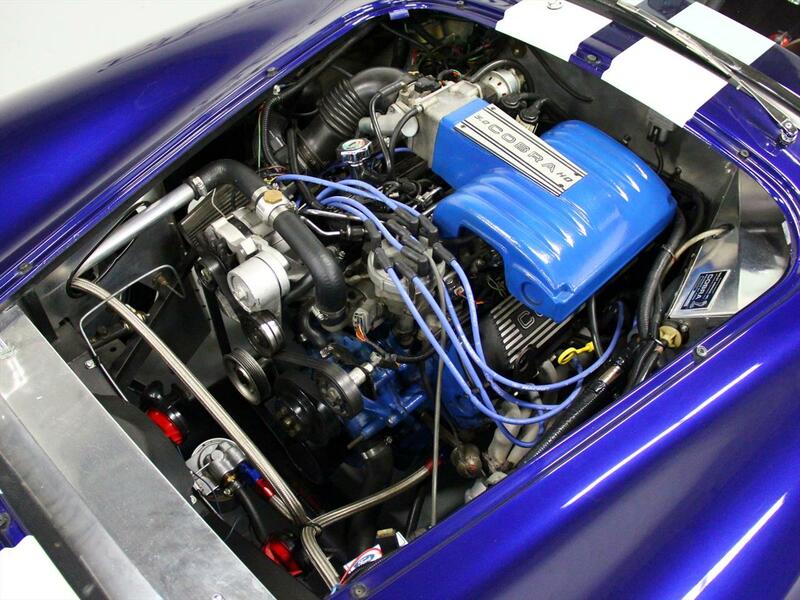 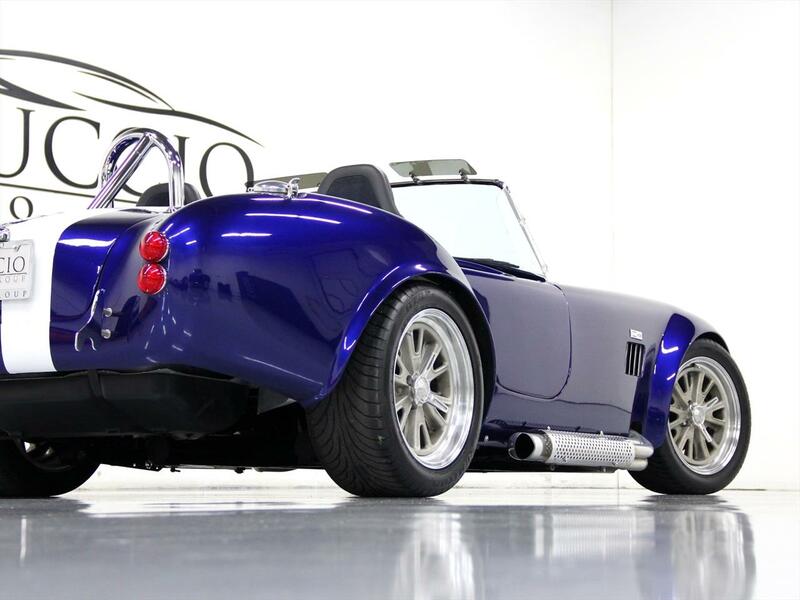 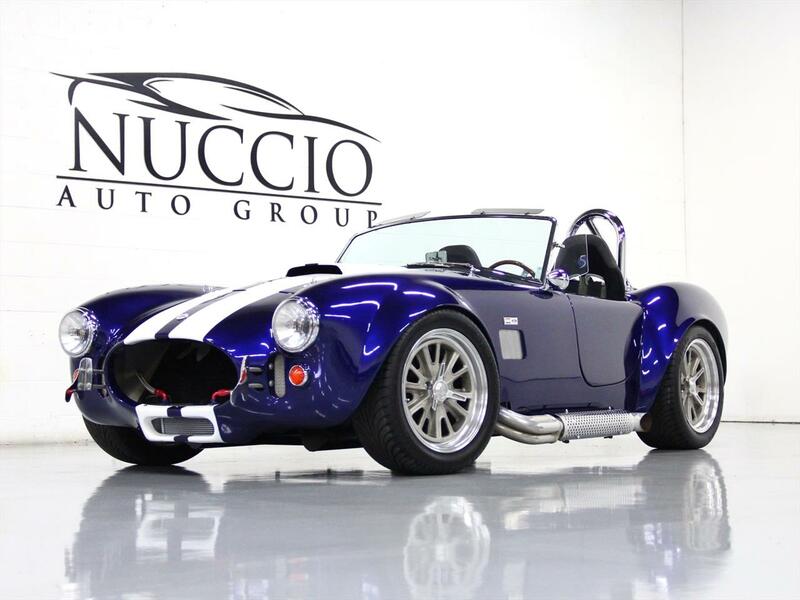 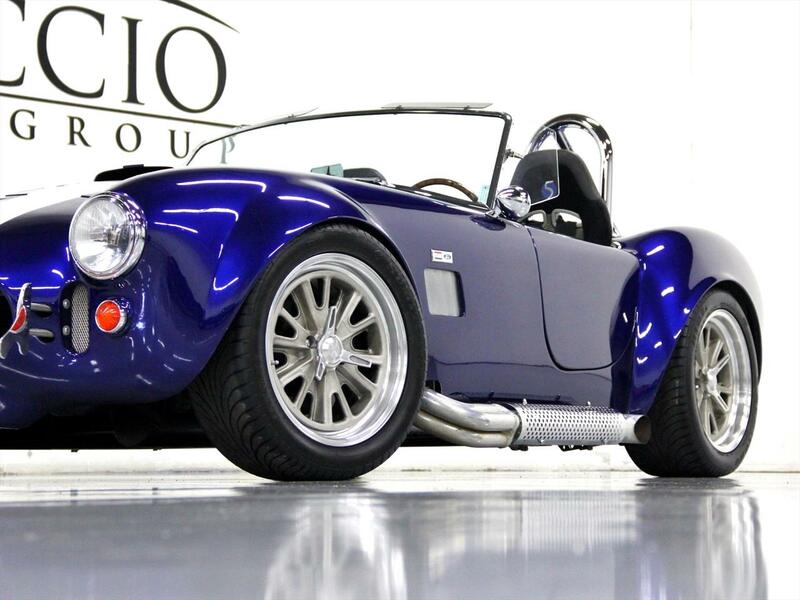 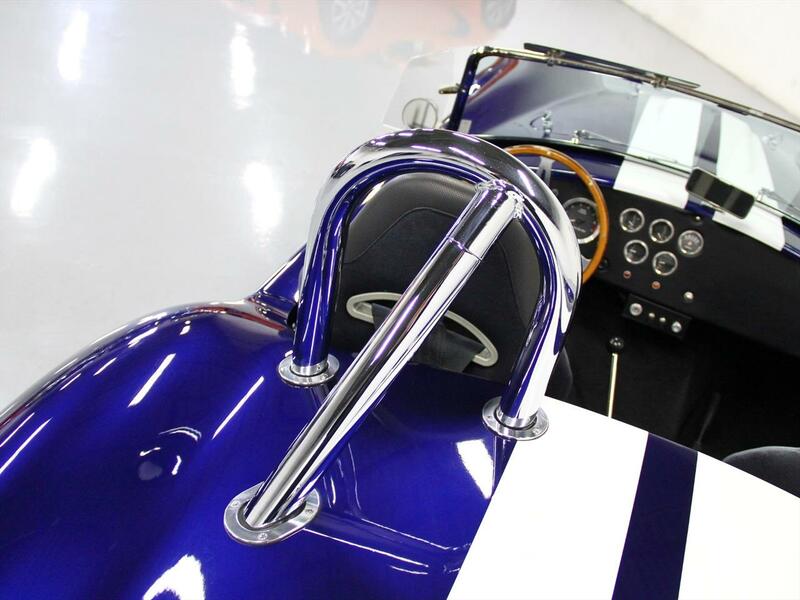 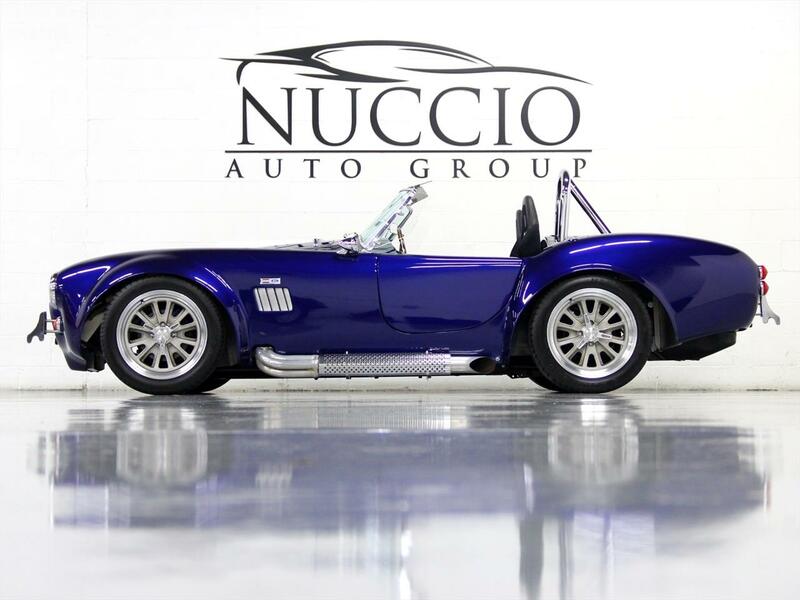 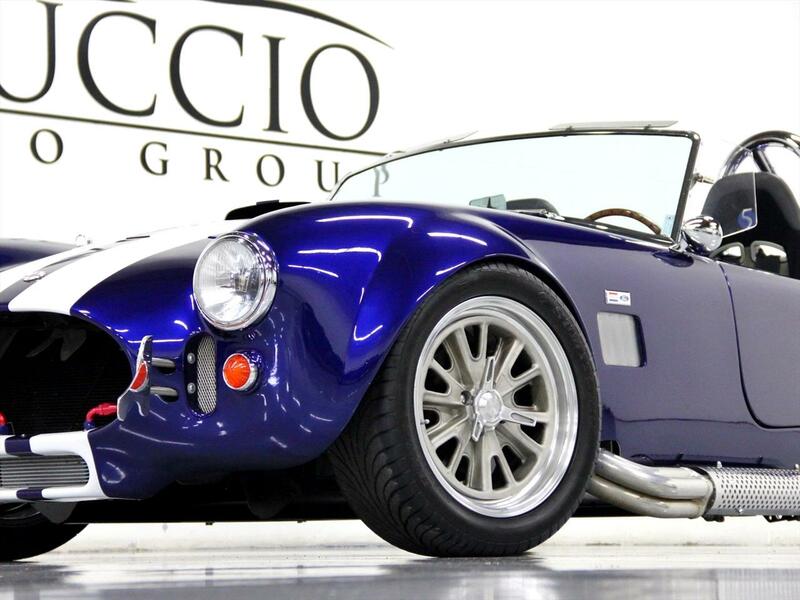 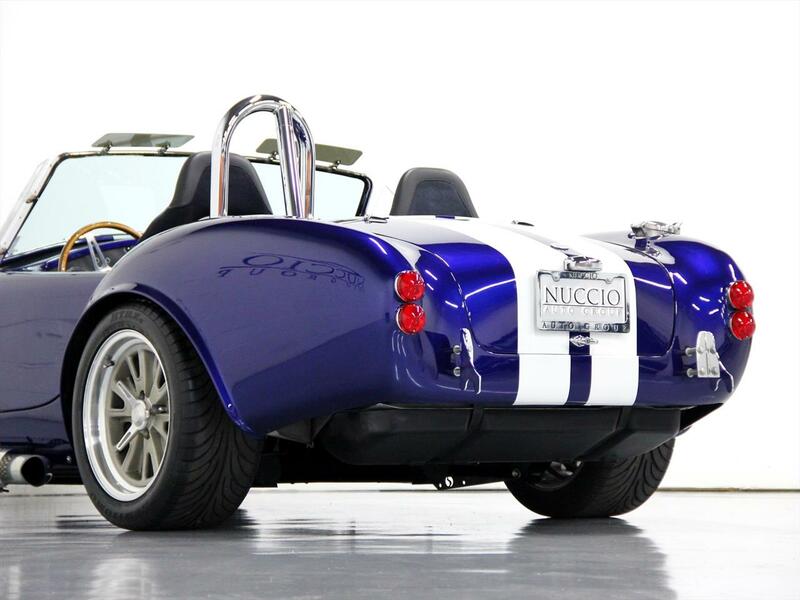 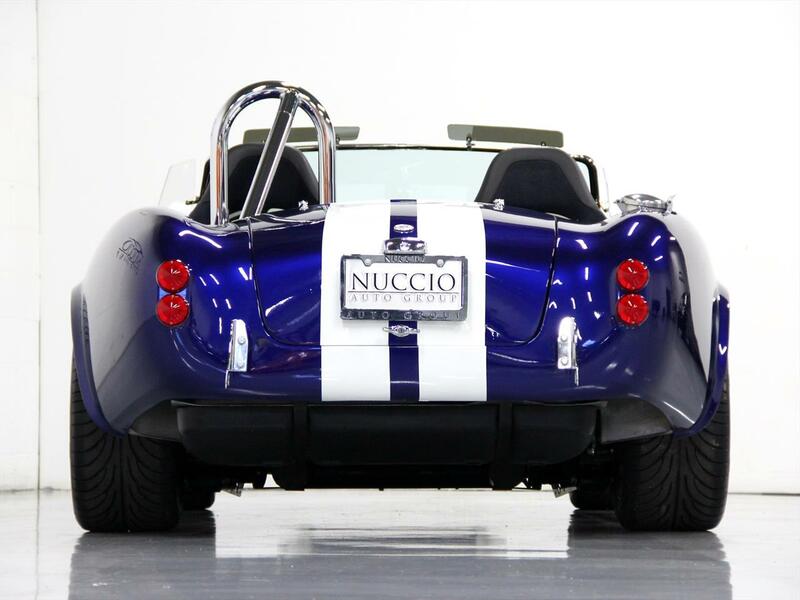 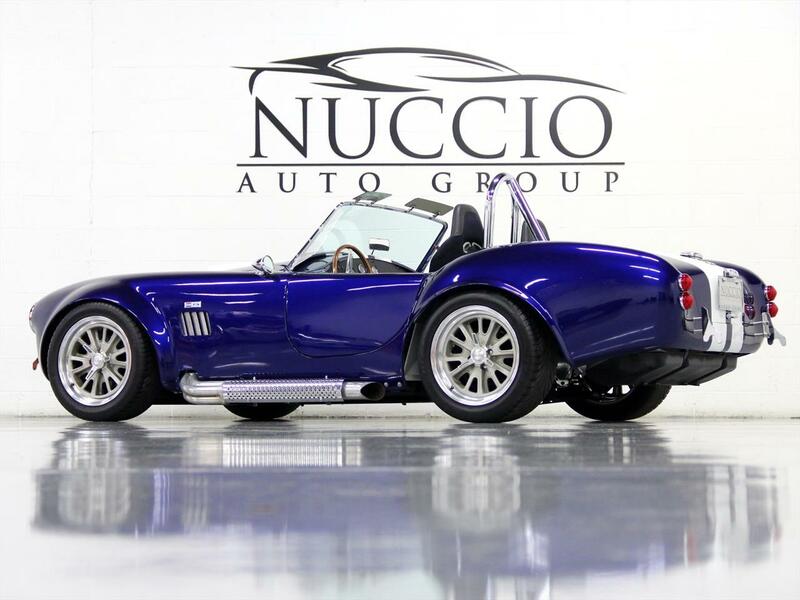 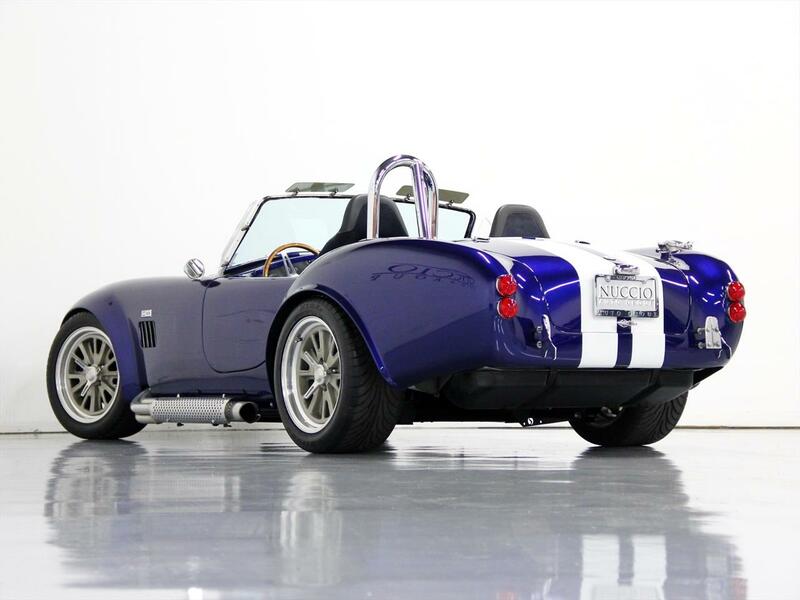 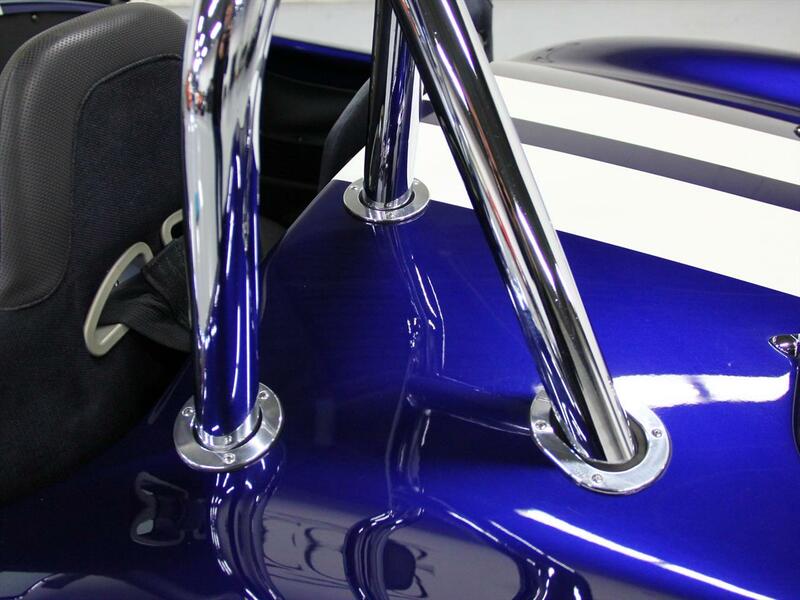 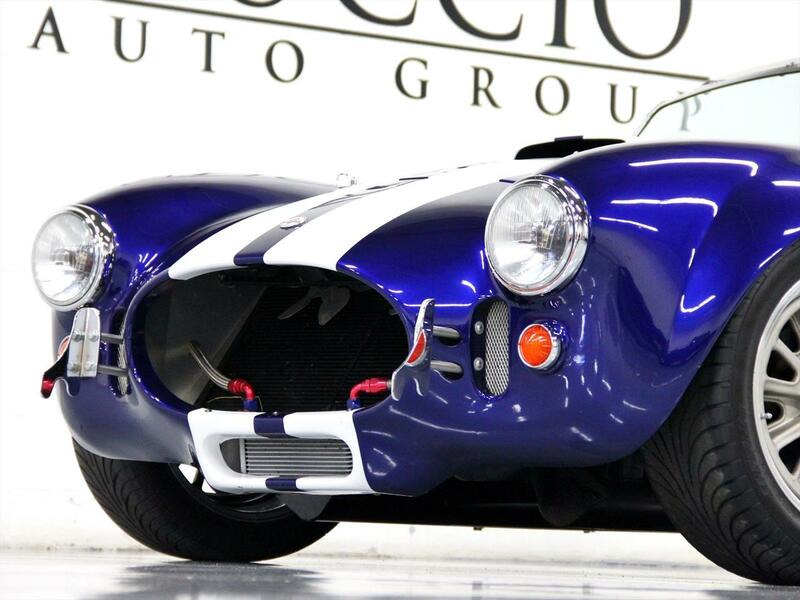 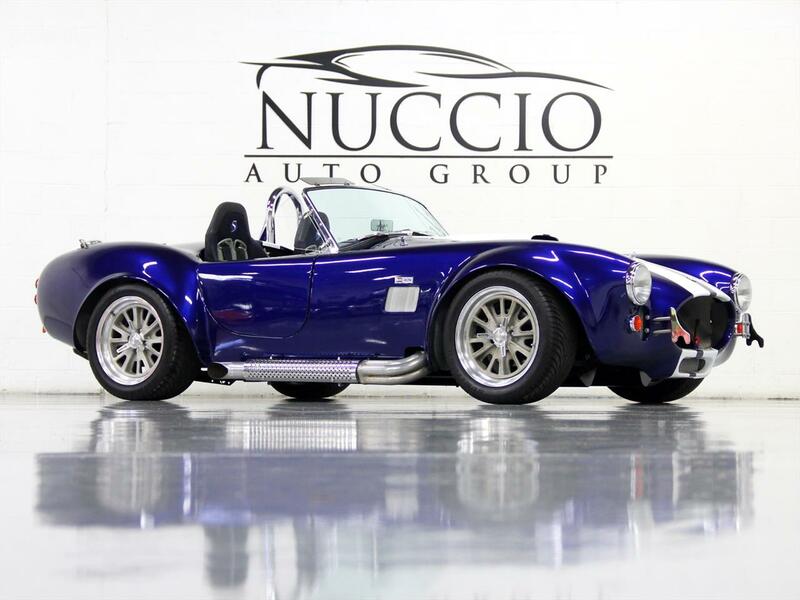 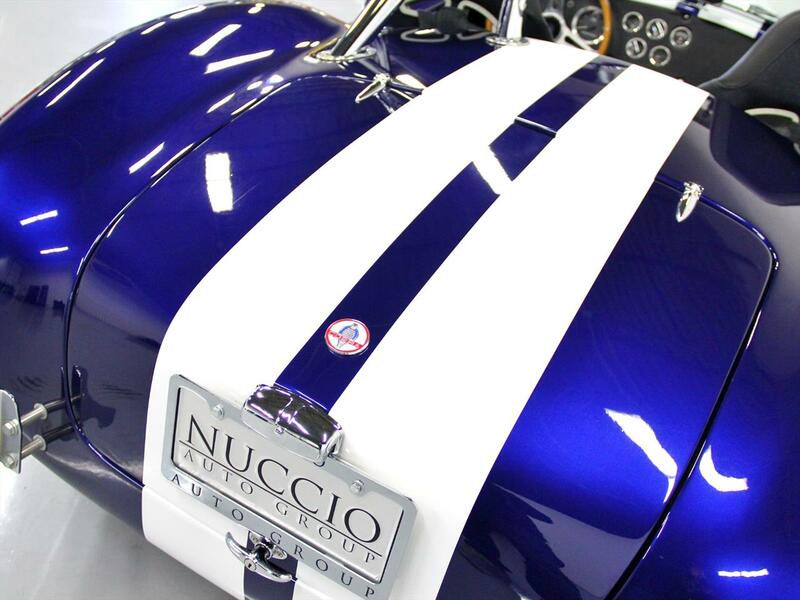 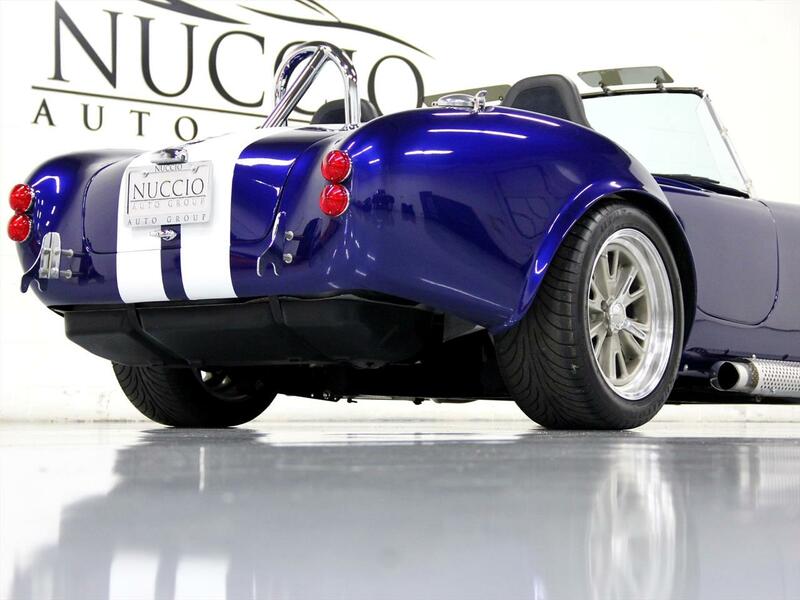 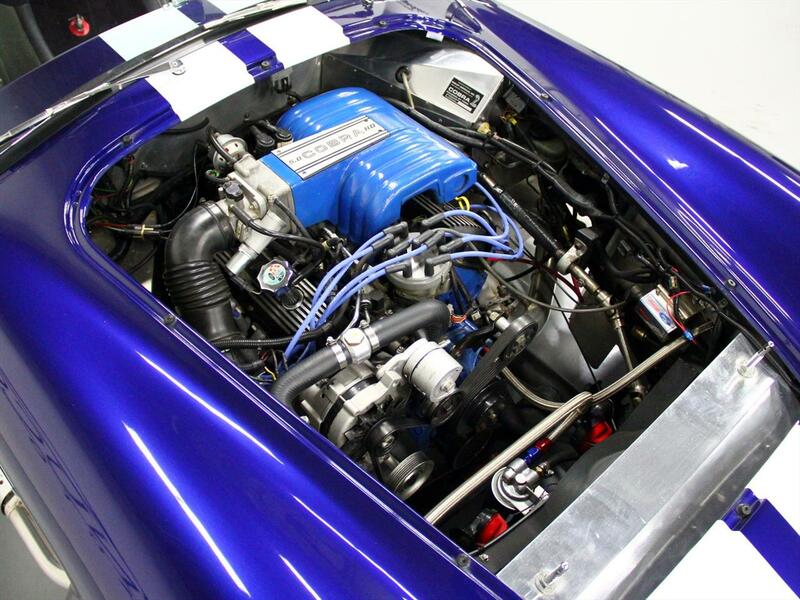 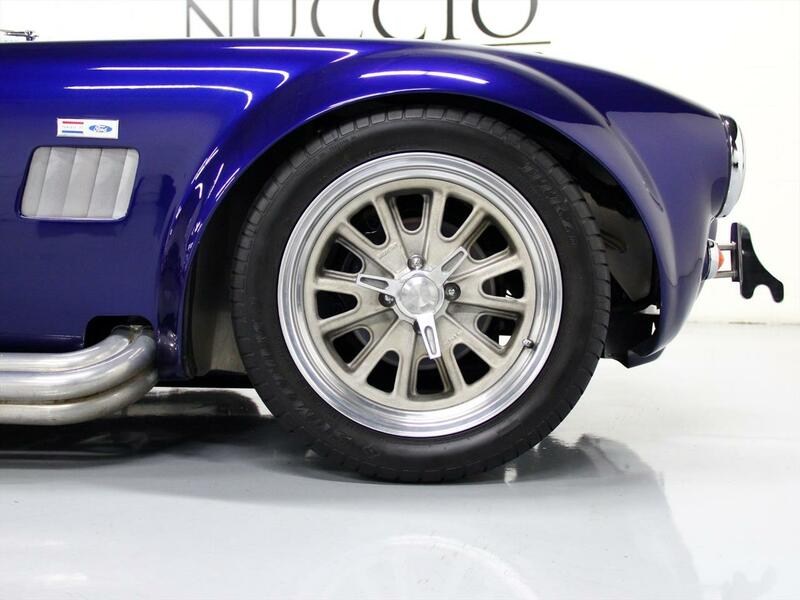 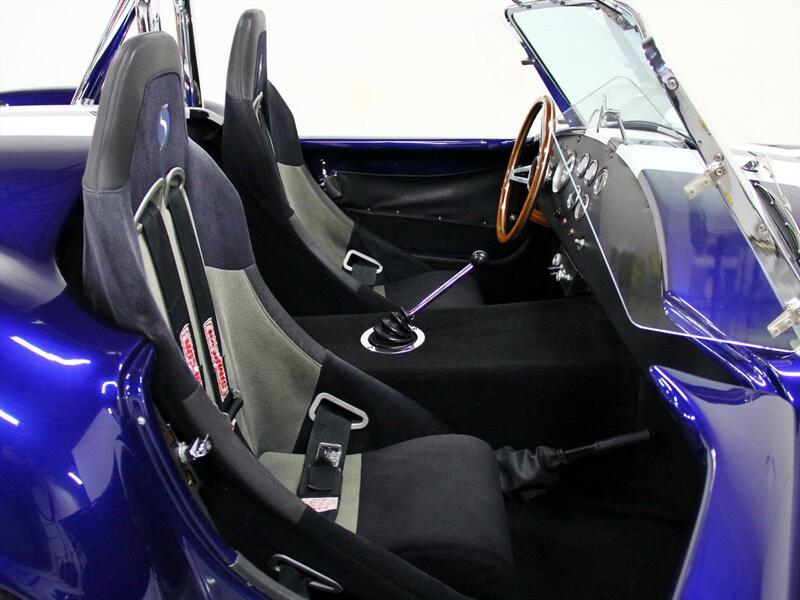 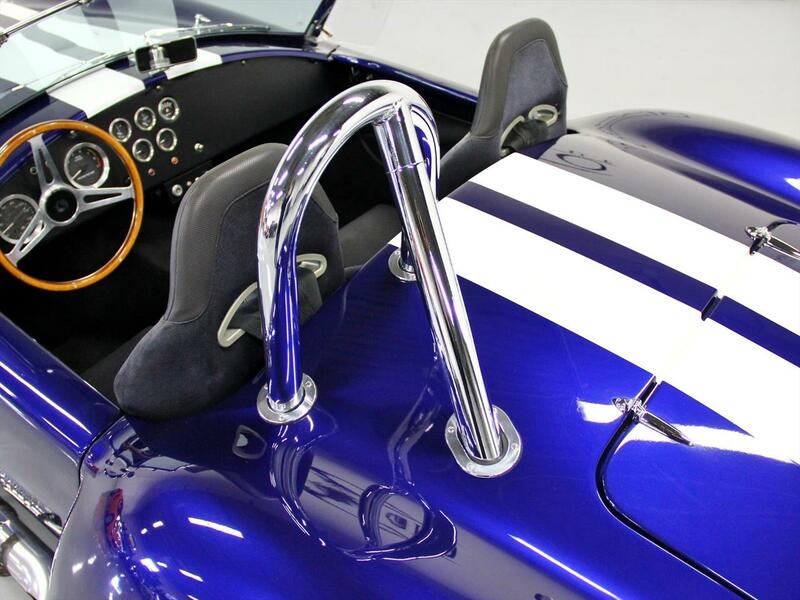 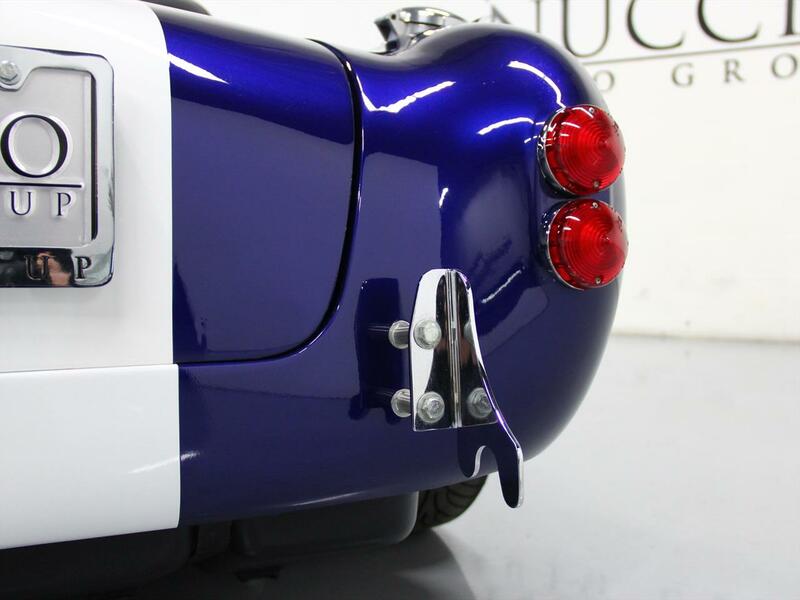 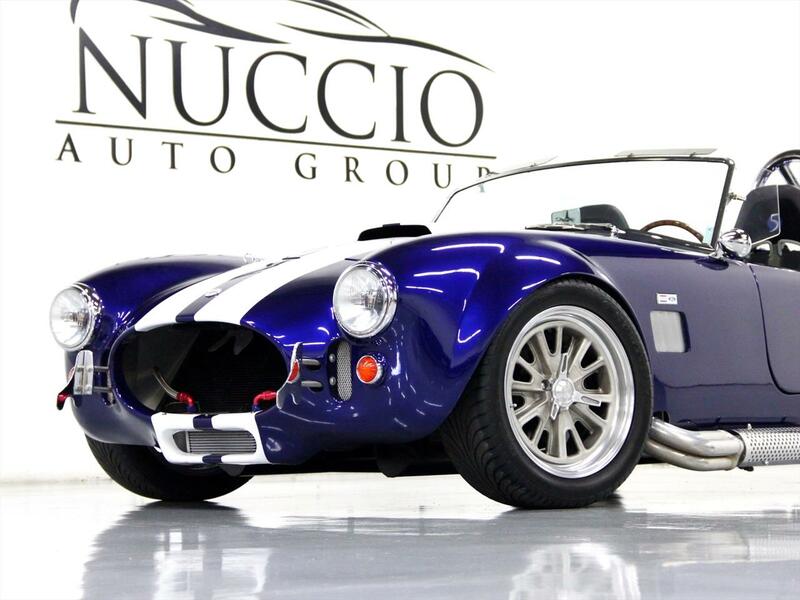 This beautiful Cobra was built at Shelby American, Inc in California. 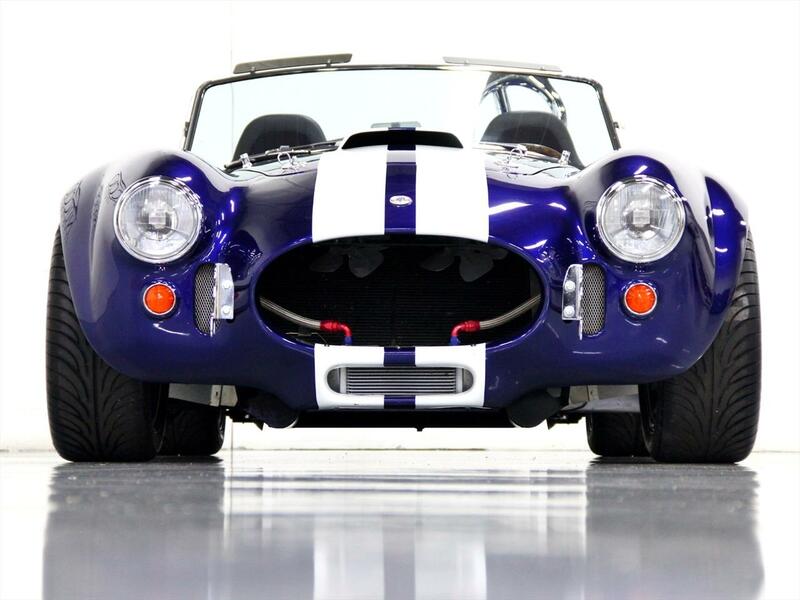 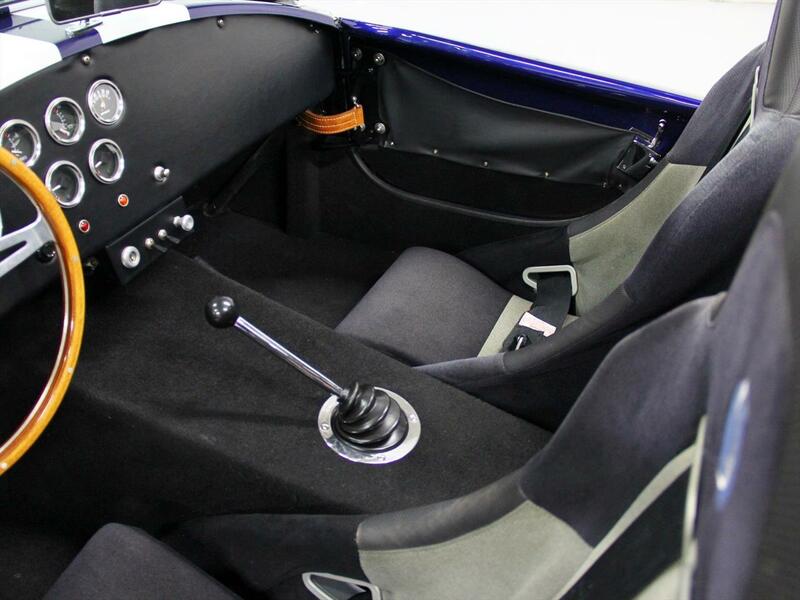 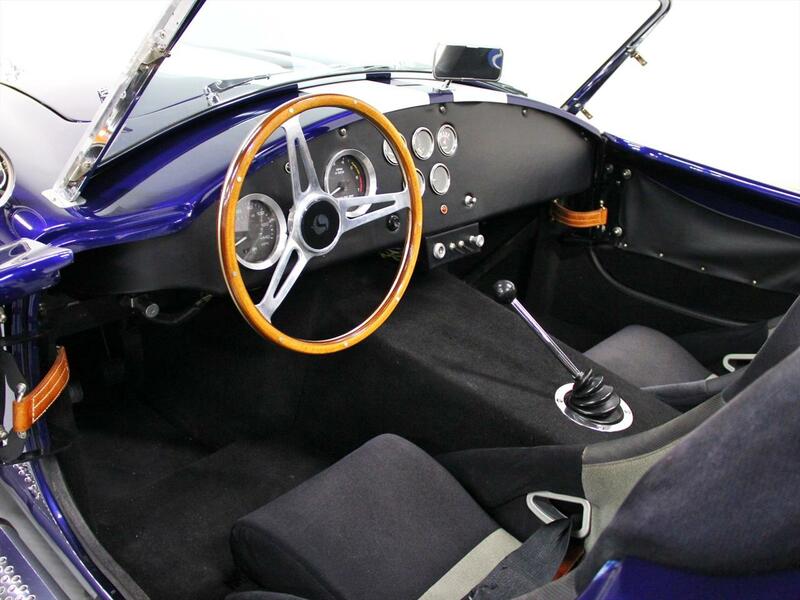 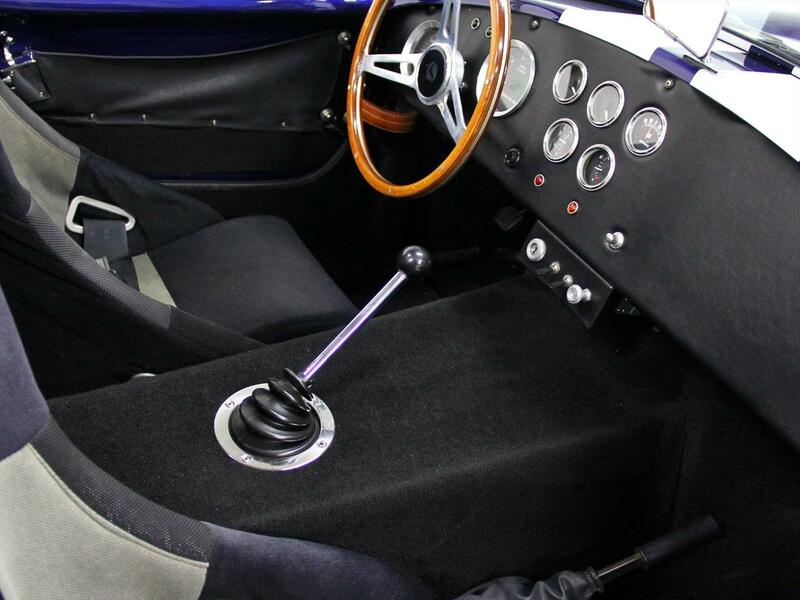 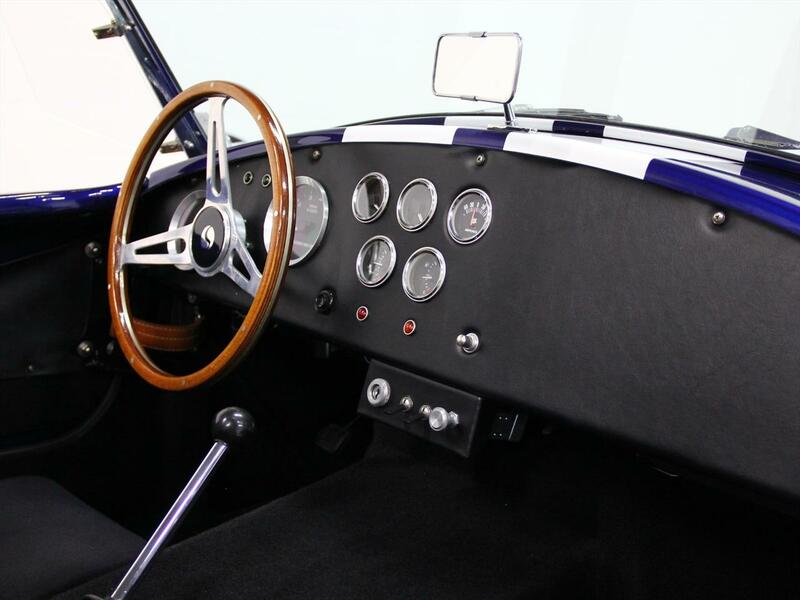 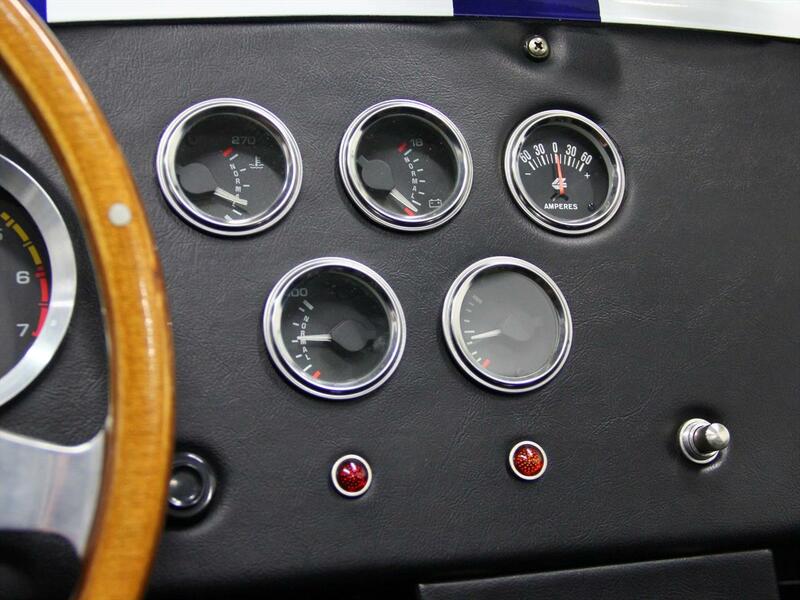 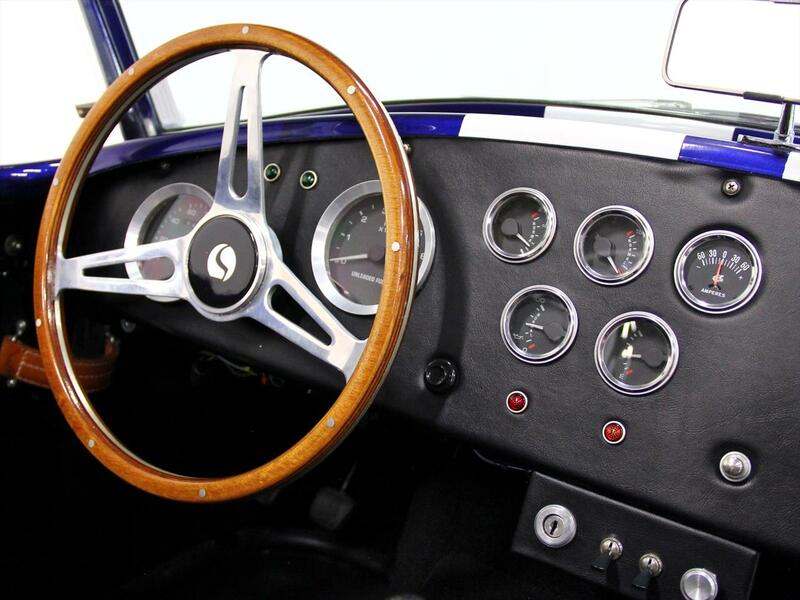 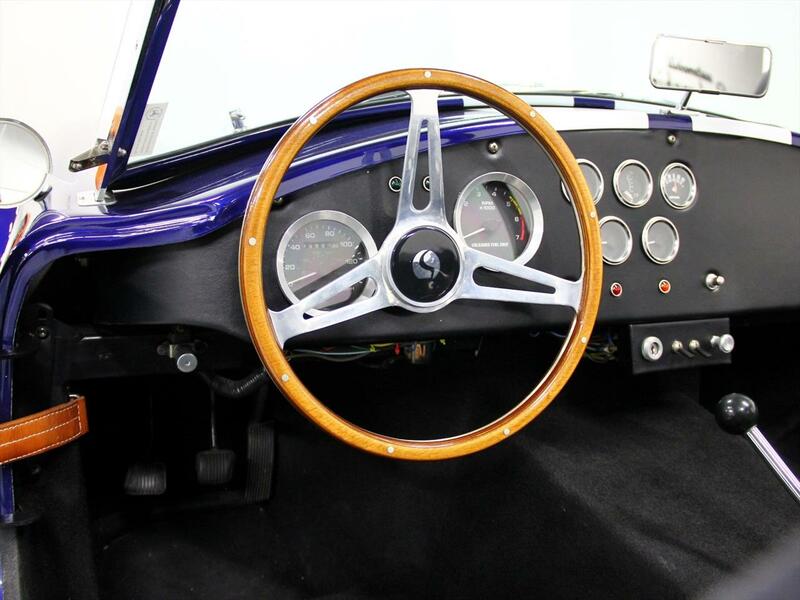 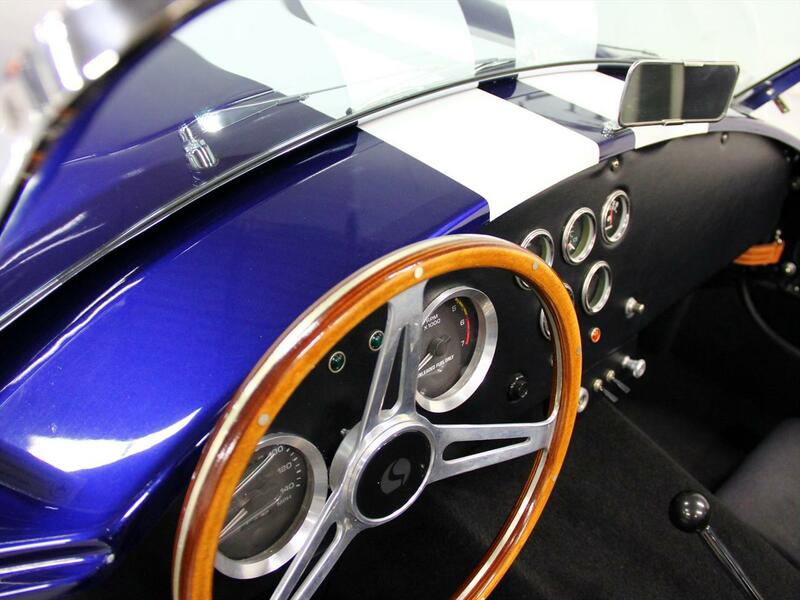 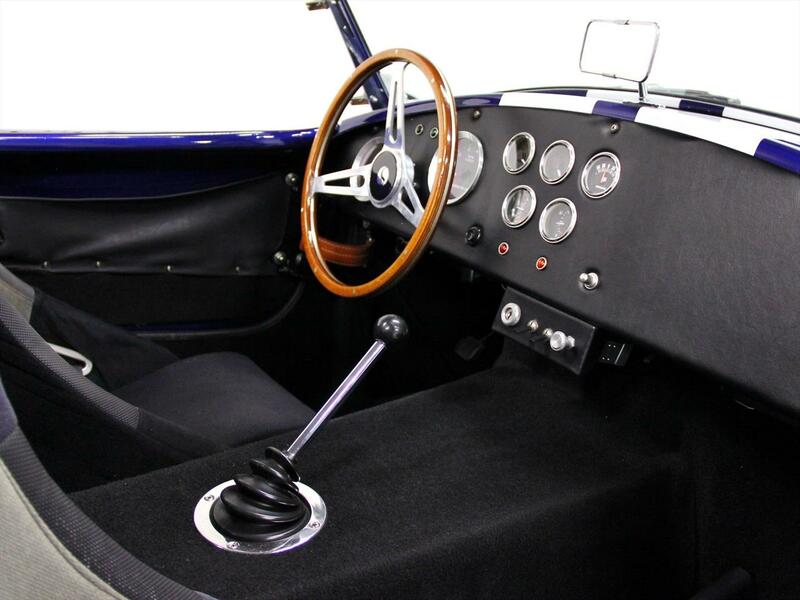 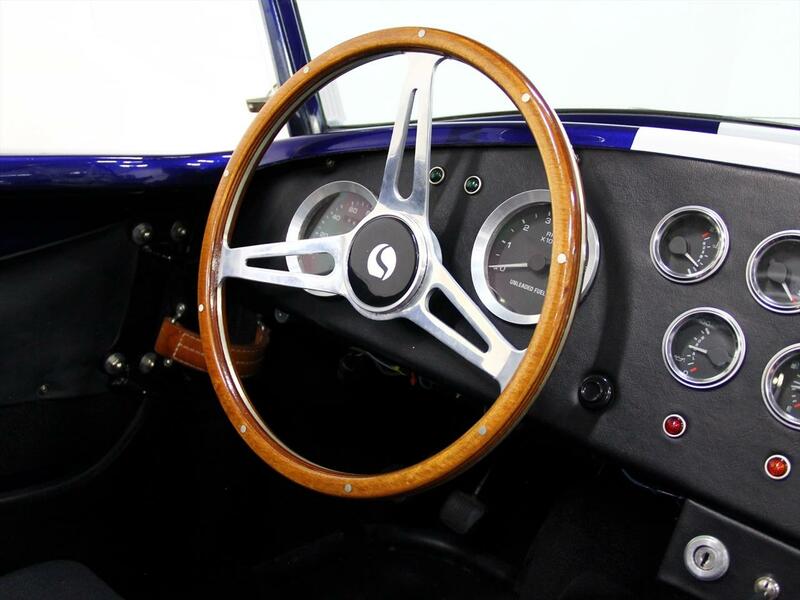 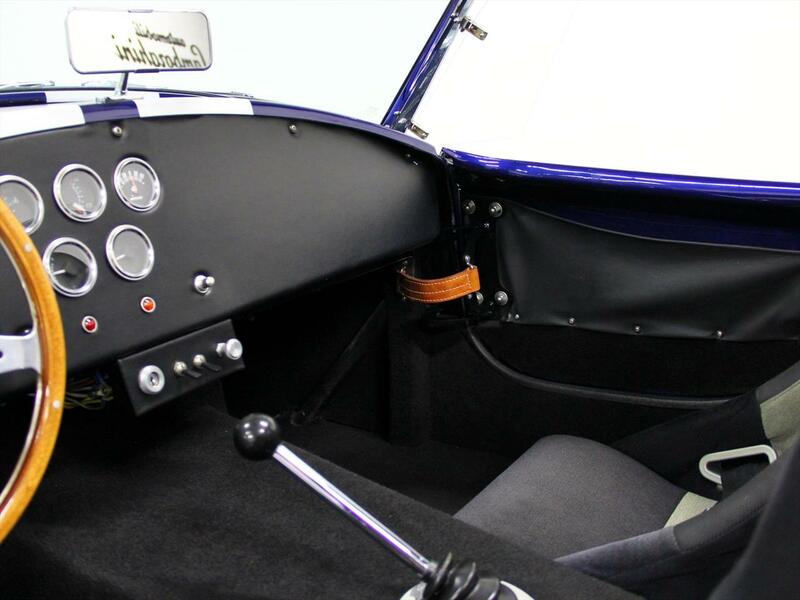 It was built in 2005 as a 1965 replica Cobra. 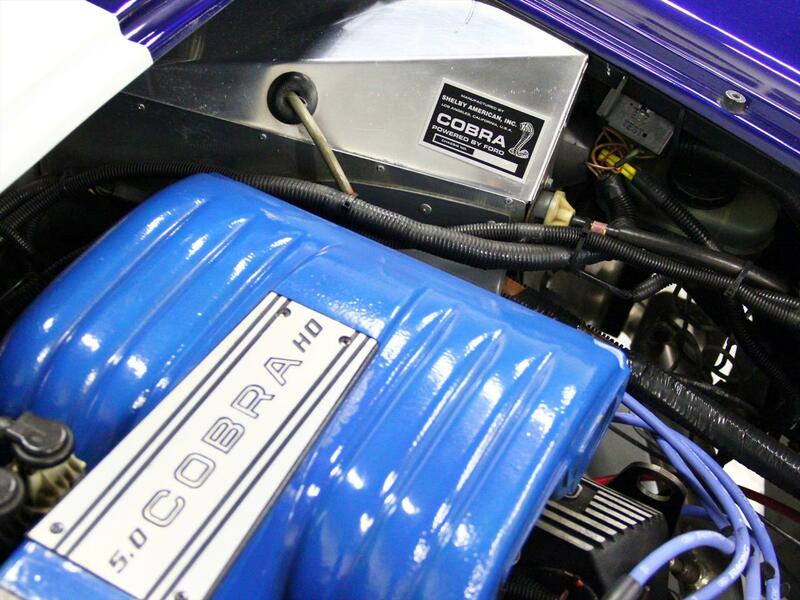 The Factory Five kits generally use Mustang Fox Body Drive train, including the 5.0 Cobra Motor and 8.8 fox body rear end. 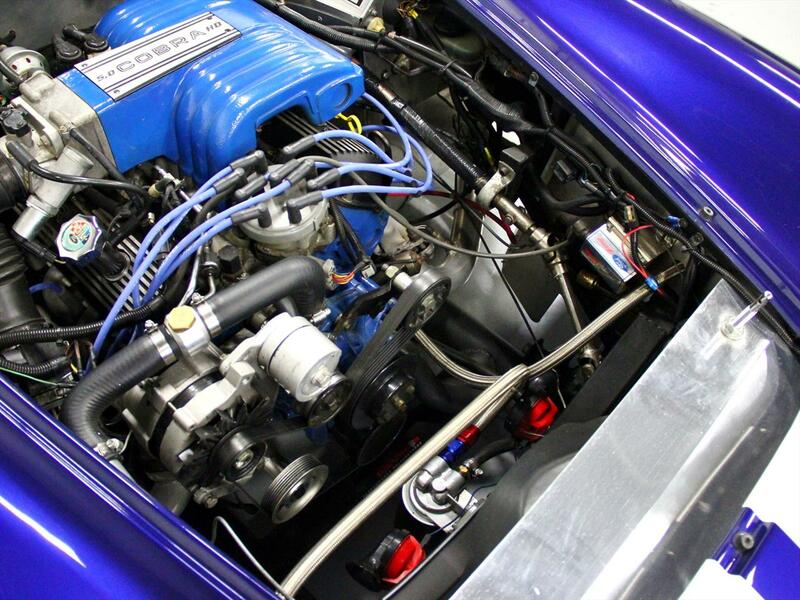 T5 Trans was used for the transmission and shifts smooth. 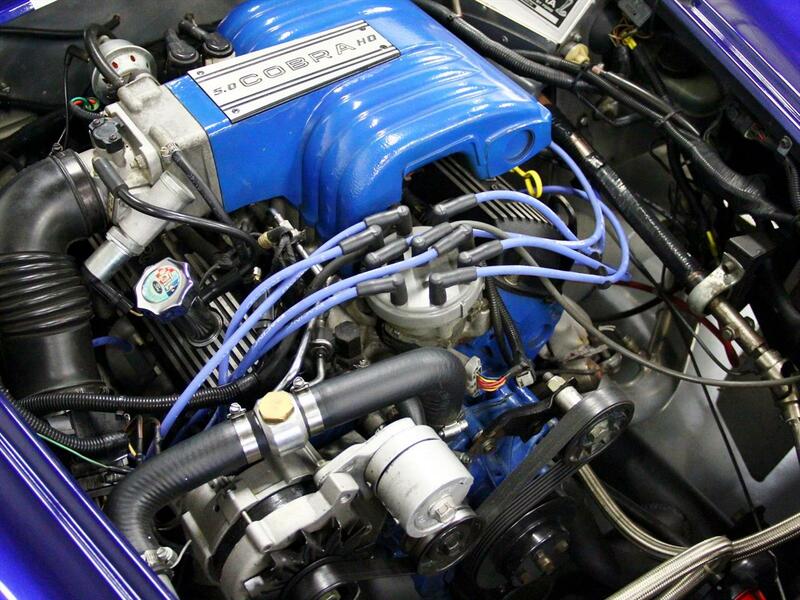 Only 6k miles have been put on this Beast since new. 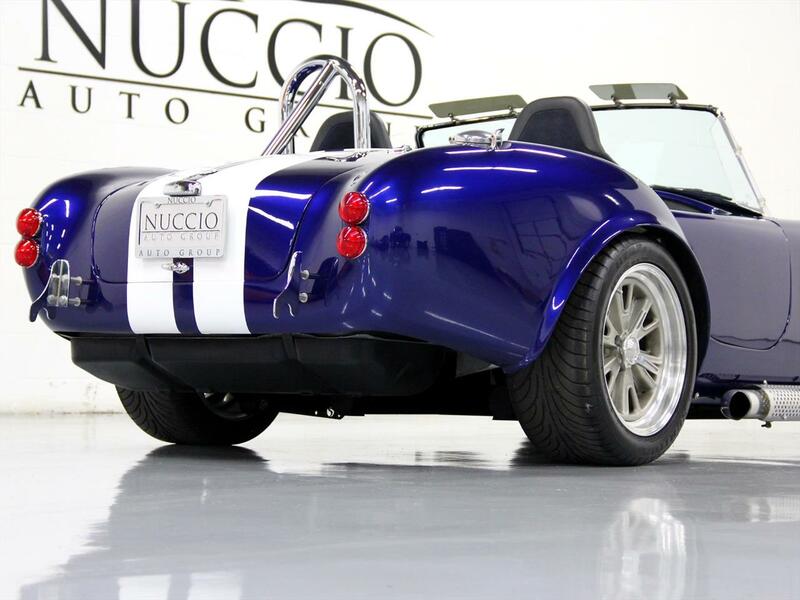 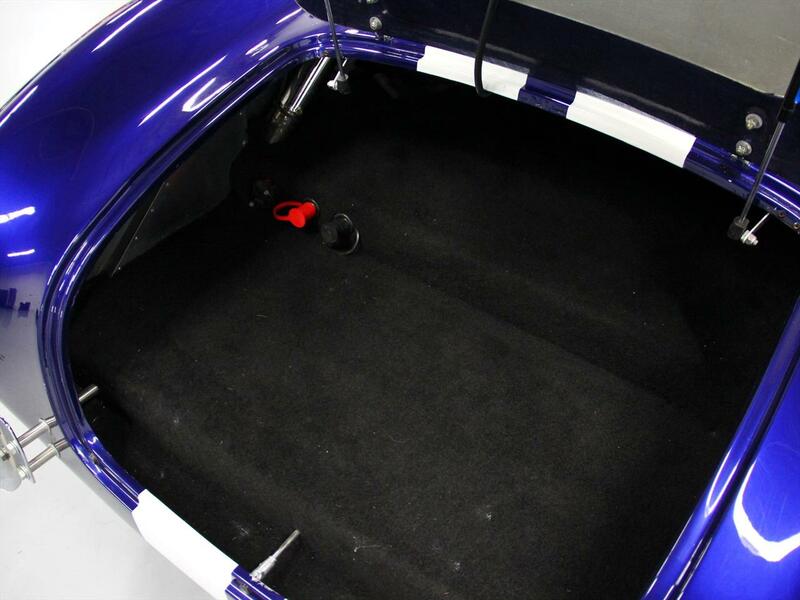 This has the look and sound you would expect from a Cobra and is in amazing shape inside and out. 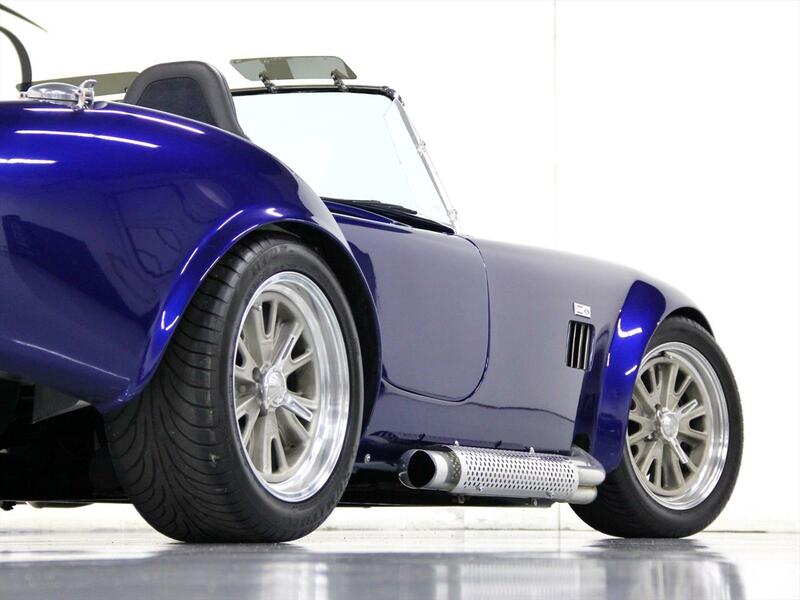 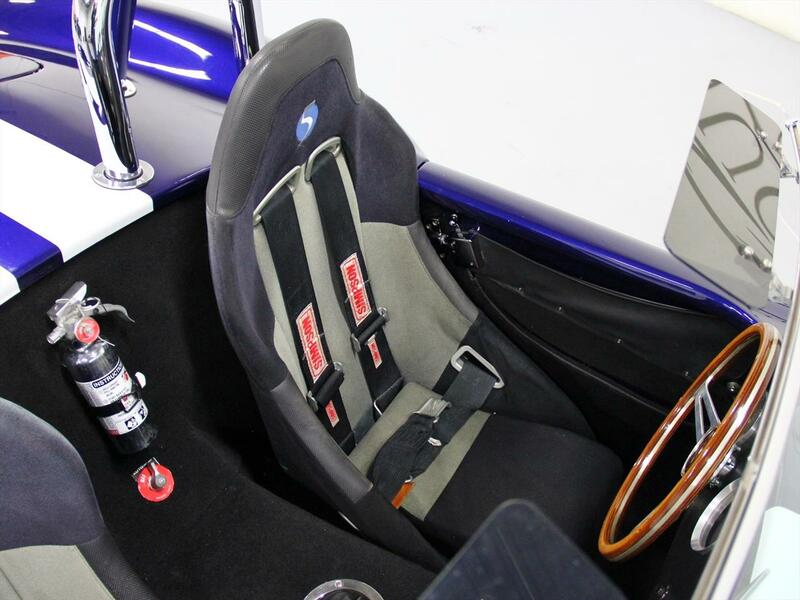 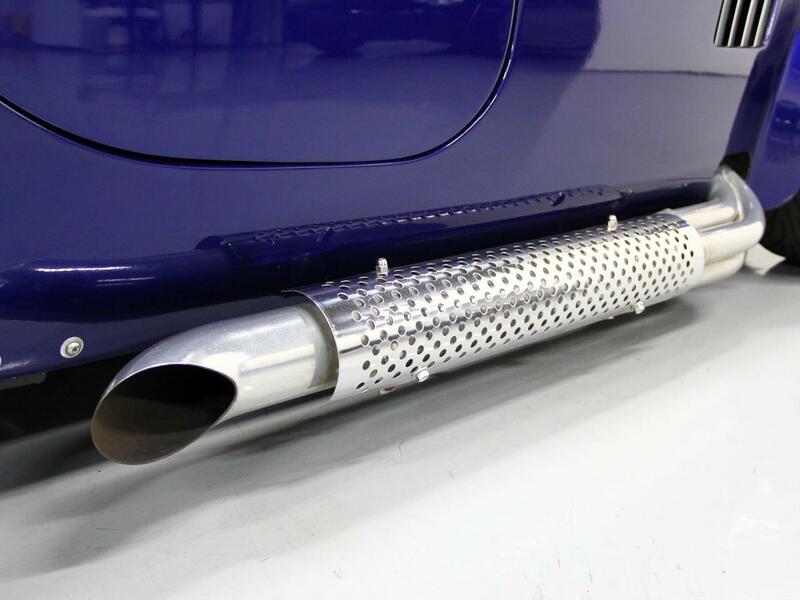 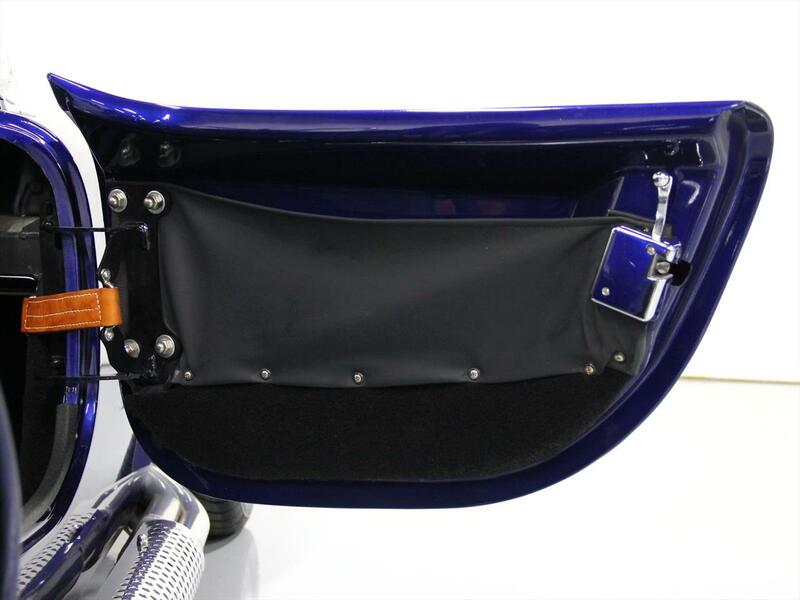 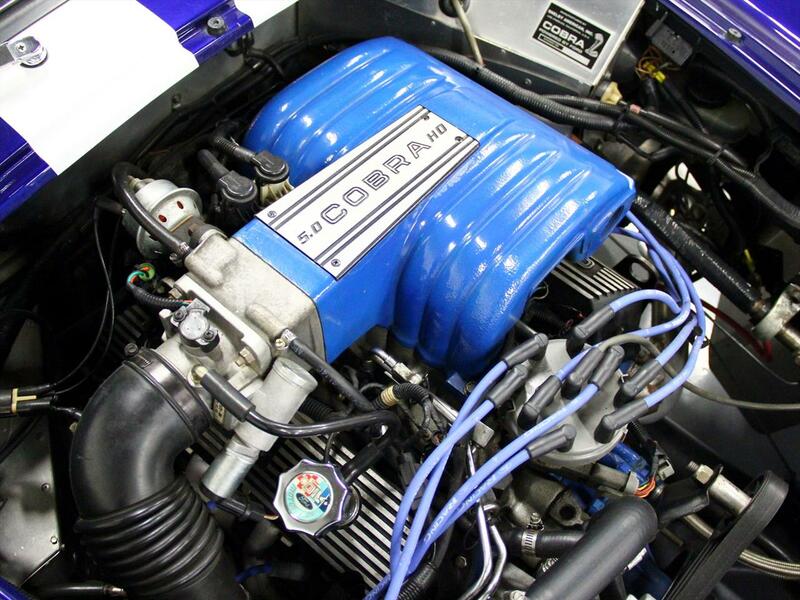 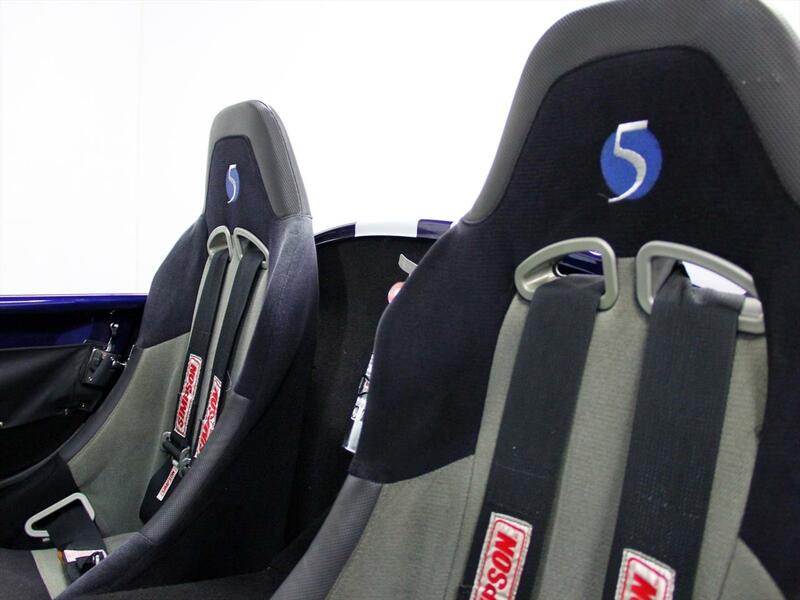 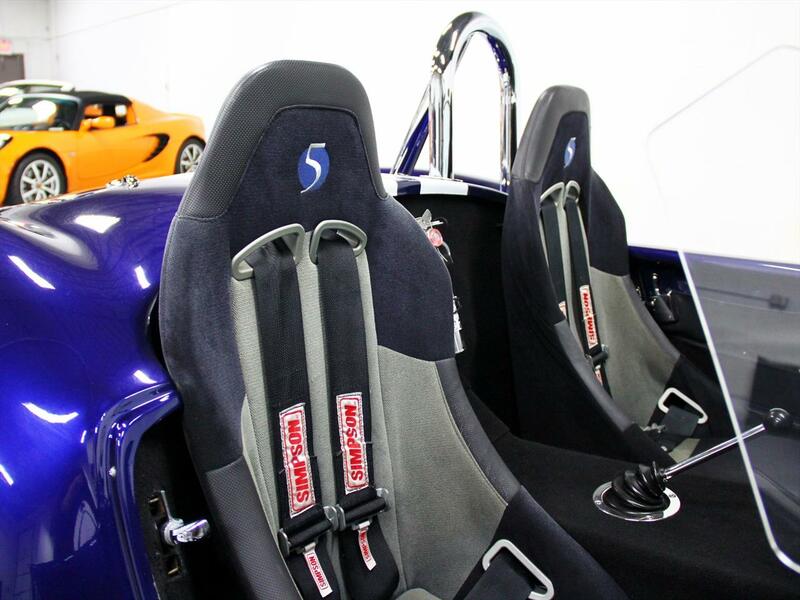 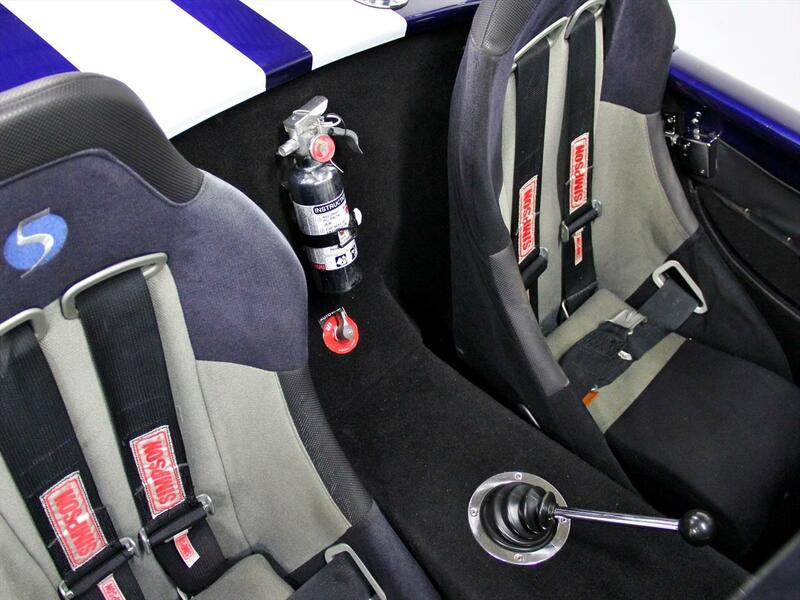 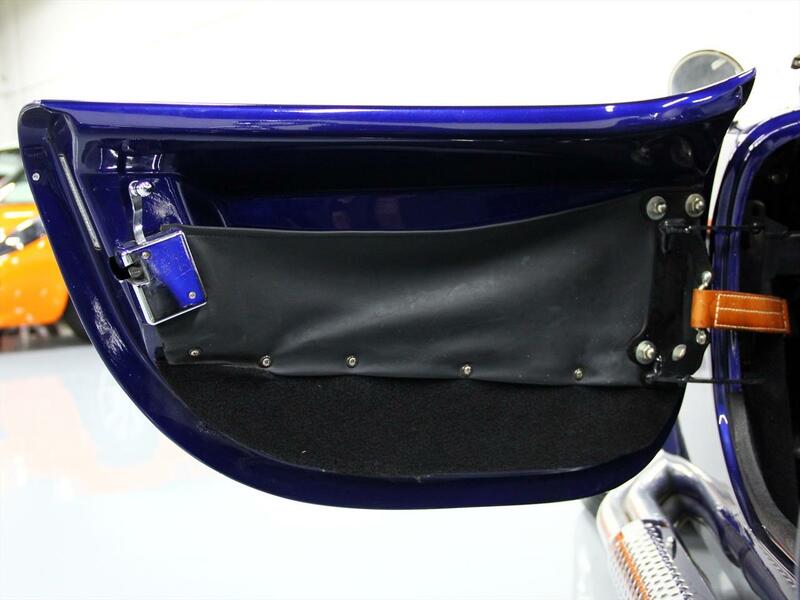 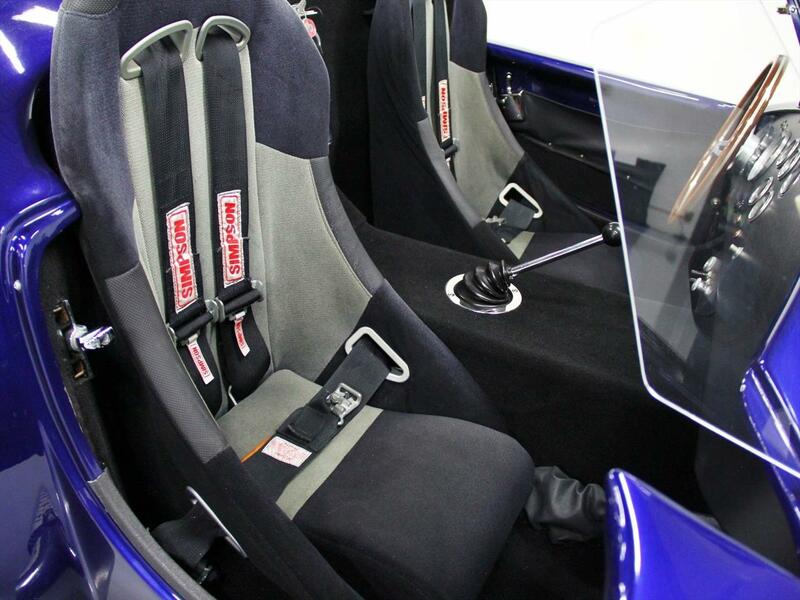 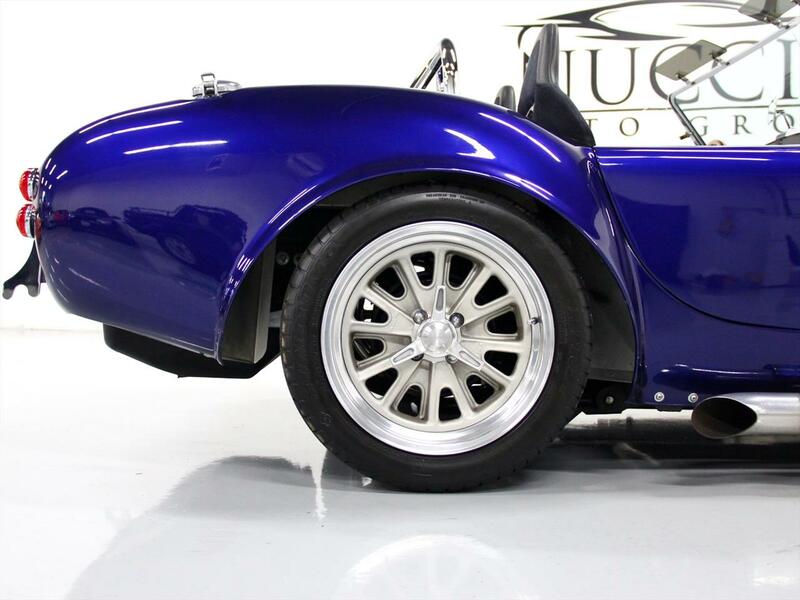 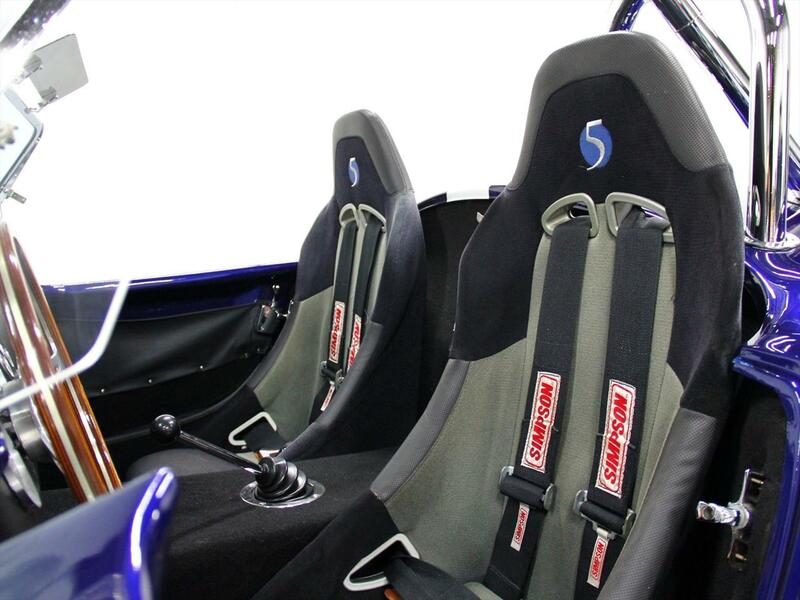 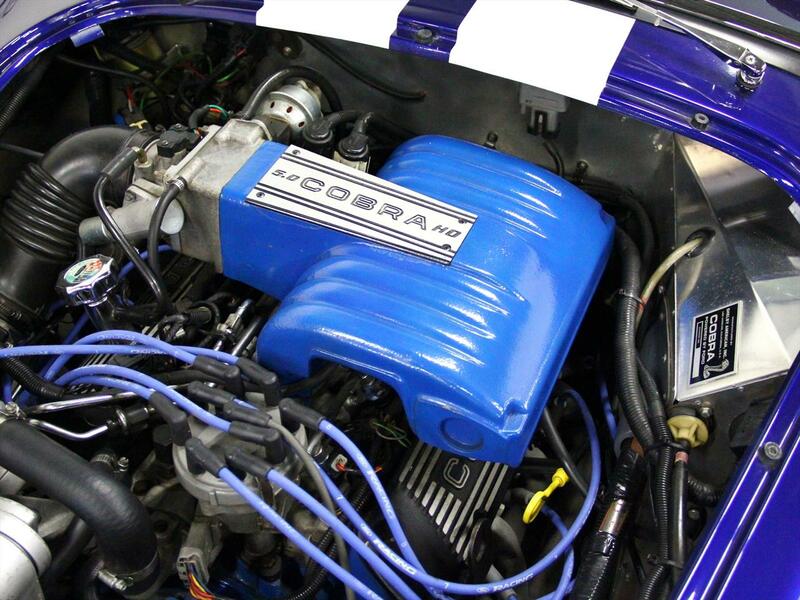 The Cobra 5.0 set up is said to push out about 300 HP in this light weight body. 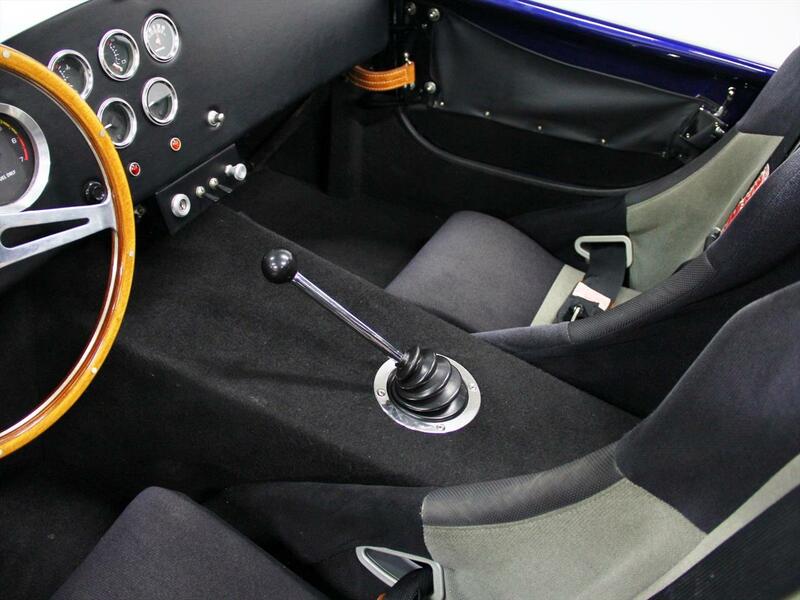 You will not find anything out there with this look and feel for the money!